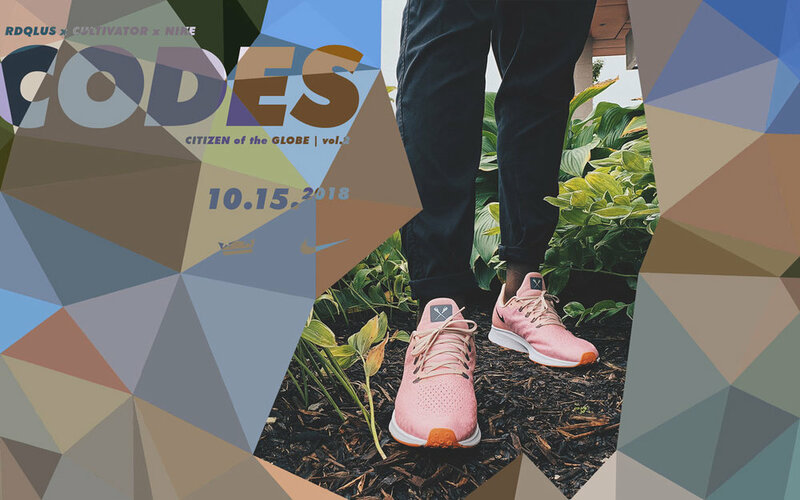 Months of creative planning and storytelling culminates in the launch of the RDQLUS “CODES” capsule collection, in collaboration with Cultivator & Nike. Three stories of travel, wanderlust and self-exploration, told through three pairs of kicks and corresponding t-shirts. The launch event will go off at 3p, 10/15/2018 at Haberdash ONE (2118 N. 24th St, Suite 104). The shoes and gear will be on display, and there will be point-of-sale stations for ordering. For more information, head to the contact page and drop a line.